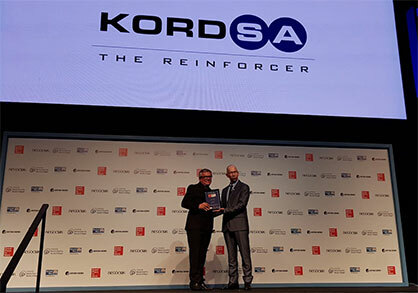 Kordsa, global player of tire, construction reinforcements and composite technologies market receives once again global awards in Brasil. Previously listed as the 25th best company in 2016 for the first time and named the 31st in 2017, Kordsa has been recently recognized as 18th best company in Brasil national ranking by GPTW. This year was the 22nd edition of the award with 2.300 companies registered, a GPTW world record. 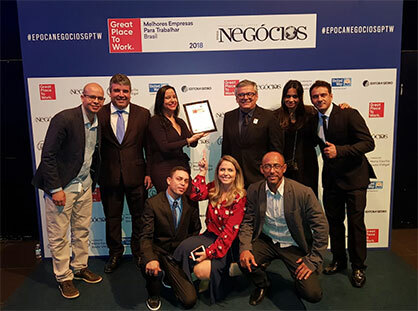 GPTW has recognized 80 large-sized companies, 35 national medium-sized and 35 multinational medium-sized companies as the 150 top great places to work in Brasil. Kordsa, for the third consecutive year, was awarded in the multinational medium-sized companies category. Kordsa has been also among top employers in Bahia, Brazil by Great Place to Work Institute for two consecutive years. These awards granted three years in a row prove how important are the employees to Kordsa, how Kordsa reinforces relationships and values its people. Creating a work environment that inspires and develops people, Kordsa’s secret to success is its people, its leadership style and simply Kordsa’s way of being. It indicates that Kordsa believes in its employers to reinforce its identity. That’s how Kordsa reinforces life, that’s how Kordsa reinforces the future, that’s how Kordsa touches every corner of life, by reinforcing its employees. Kordsa was also deemed worthy for the “Best in Internship Practices” award in Bahia Brasil, adding another prestigious award to its global awards. Believing that today's interns are professionals of the future, Kordsa emphasizes in promoting a life time experience, beyond technical knowhow that prepares them for life.